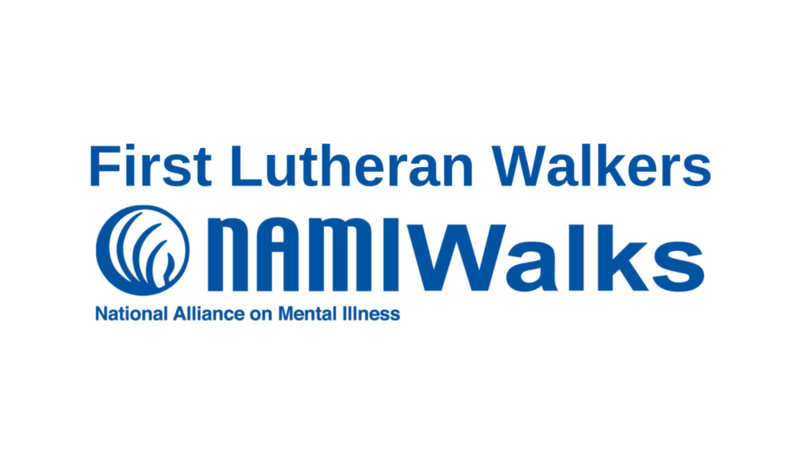 A team from First Lutheran Church will once again join NAMI (The National Alliance on Mental Illness) and walk together to raise awareness of mental illness, show support for those affected, and raise funds for NAMI organizations in South Dakota. You can partner in this effort by joining our walking team or by becoming a financial supporter of the cause. Visit the First Lutheran Walkers page on the NAMI Walks website. There you can join our team, view our roster, or support us with a donation. A booth in the Gathering Room will be set up on Sundays April 28, May 5, and May 12. Talk to Team Captain Sandy Holleman and other team members between services to learn more about this effort. We will welcome two special guests on Sunday, April 28: Wendy Giebink (Executive Director of NAMI South Dakota) and her colleague John Williams (Walk Manager and Fund Development Consultant). On that date, they will be able to share more information about NAMI’s programming on a local and national level. For more information on NAMI, visit NAMISouthDakota.org and NAMISiouxFalls.org.